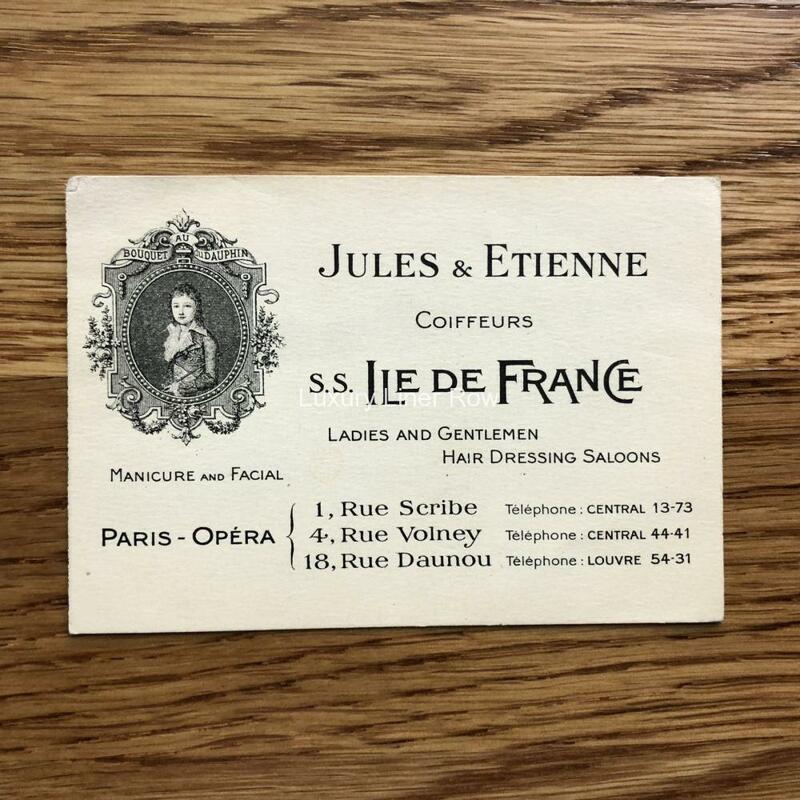 One of the more unusual pieces I have ever had for this famous French liner. 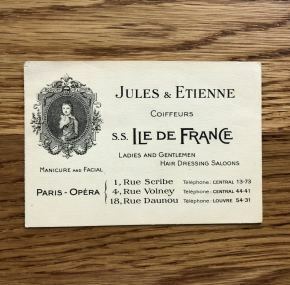 A business card for Jules & Etienne “Coiffeurs” of the ss Ile de France. Great condition and you’ll probably never see another!